US stock indexes pointed to a lower opening in pre-session hours on Tuesday as market players looked ahead of President Donald Trump speech and batch of economic data and Fed officials scheduled later in the day. On Monday, top three Wall Street indexes ended with moderate gains amid low trading volumes. Traders opted for a cautious positioning ahead of Trump’s address to the Congress. Investors will be searching for hints on its tax reform and deregulation plan. A positive outcome for markets could involve a softer pro-growth rhetoric, rather than a populist hard-line approach. President Trump promised to unveil his long-awaited tax plan in the near term and said it would be a “phenomenal” change for individual and business. The Dow Jones industrial average reached a record high yesterday, with investment bank Goldman Sachs leading advancers. The index is now at its longest winning streak since 1987. Meanwhile, the S&P 500 added 0.1 percent by the end of session, with energy components contributing the most. The Nasdaq composite was up 0.28 percent. Washington news were also in the spotlight on Monday. After meeting with several governors from the administration, Trump said in his first budget, to be issued next month, will ask for a raise of $54 billion in defense spending, compensating that sum by reducing other programs. Monday was a light day for economic events. Durable goods orders increased by 1.8 percent in January, a tick above expectations. Pending home sales fell 2.8 percent. Dallas Fed President Robert Kaplan reaffirmed that a rate hike would be better sooner than later. Apart from Trump’s speech, investors will pay close attention to data later today. Fourth-quarter gross domestic product will come at 13:30 GMT, with analysts pointing at a 2.1 percent build. Goods trade balance for January is due at the same time and it’s expected to move to -$66 billion from a previous -$64.40 billion. Conference board consumer confidence index for February will be out at 15:00 GMT. FOMC members Harker, Williams and Bullard are due to speak overnight. Trump words in focus, but why? 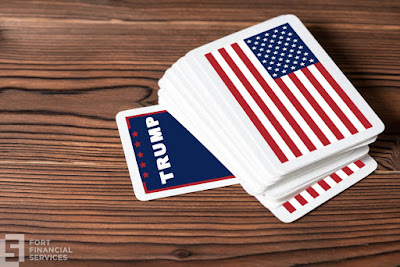 US President Donald Trump will address the US Congress on Tuesday at 21:00 GMT and YES, all market players will be following each and every single word of his speech. Unless you have been sleeping since November 2016, you have probably noticed that US equity markets reacted very positively to Trump’s victory and inauguration and economic promises. That’s right, a lot to take in. By taking a look only at the S&P 500, we see a 10 percent build since last year’s election. But after all, there hasn’t been any real economic measures that actually impacted markets. So… what’s the driver behind growth? A single very well-known word, speculation. Trump’s key economic promises (tax reform, deregulation and higher fiscal spending) have been in the spotlight for quite a while. But right now, attention is placed mostly on the tax plan, as the Republican have promised to unveil it in the near term, while adding it’s going to be a “phenomenal” action for American consumers and business. On this regard, Treasury Secretary Steven Mnuchin said in an interview last week that the new administration will try to push the tax reform in Congress before mid-year break. On Sunday, Mnuchin also anticipated that Trump will touch this issue on today’s speech. The Secretary also said that Trump could provide some extra details on the plan, of which little is known so far. With stocks standing at record-highs due to speculation, most analysts are betting on a pullback rather soon. And Trump’s speech could be actually the trigger of it. 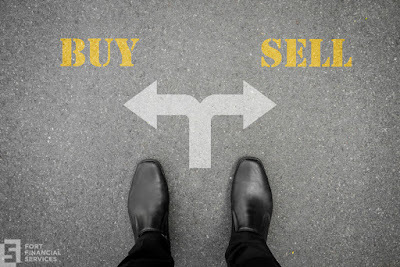 If market players believe he is not able to keep up with the pace and fulfill his promises soon, sellers could take over and push stock indexes to the downside. And there is one more thing. Even if he is able to send a trustful message about his tax plan, markets have already anticipated and digested it, making the announcement less of a shock. While the tax reform will be the main focus, it’s not the only topic to be discussed. Investors will also pay attention to any comments on fiscal spending, construction, budget, deregulating certain industries, repealing the Affordable Care Act and more. Wall Street stock indexes ended slightly higher on Friday, as investors looked ahead of remarks of President Donald Trump before Congress on Tuesday (21:00 GMT). While analysts believe Trump won’t be giving much details on his economic measure, he could mention the upcoming tax reform, deregulation measures and other issues that are meant to pass through Congress later this year. However, it’s also relevant to understand that lawmakers are currently focus in repealing Obamacare and a Supreme Court nomination rather than dealing with economic proposals. The Dow Jones industrial average posted a relatively small gain on Friday, but it marked a 11-day winning streak, the longest since 1992. The S&P 500 added 0.15 percent to end at a new all-time high, while the Nasdaq composite was up 0.17 percent. Last week, Treasury Secretary Steve Mnuchin said during a TV interview that the tax reform is due to pass through Congress before the August break, which boosted speculation in markets. As for data, the Commerce Department said new home sales grew 3.7 percent in January, falling short from a forecasted 6.3 percent increase. Consumer sentiment for February came in at 96.3, above expectations of 96.0 points. Later in the day, durable good orders for January will be published as of 13:30 GMT, with analysts pointing at a 1.7 percent build. Pending home sales are due at 15:00 and expectations currently stand at a 0.8 percent growth rate. President and CEO of the Federal Reserve Bank of Dallas Robert Kaplan will be speaking at 16:00 GMT. 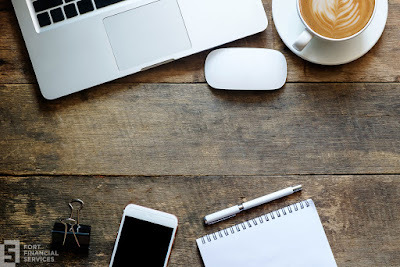 If you are still not sure where to put your money this year, you should give a better look at your home and mobile devices. Not only technologies make your life easier, but they can also help enlarge your wallet. 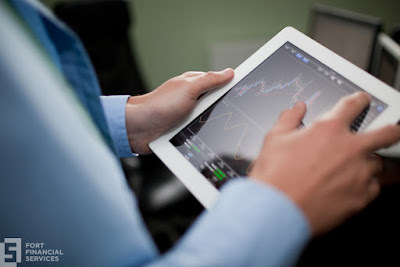 The technology sector has been posting strong gains in the last few months. Last week, S&P’s tech components took a breather after a 15-day winning streak. Keep the long face, you are still on time to buy some pretty awesome stocks for your new portfolio. As it’s no surprise, rumors have been floating around regarding President Donald Trump’s migration policies and its dangerous effect for the tech sector. In case you didn’t know, Silicon Valley currently employs a large number of engineers coming from all around the globe. If their visas get blocked or rejected, it could again hit on the uncertainty button and send stocks lower. Let’s be clear. Big companies are on the top for something,... they perform. So if you are new here, it’s advisable to start with those large ships that won’t leave you halfway empty-handed. And of course, if you are still interested about trying on a riskier choice, go ahead, but keep a balanced well-established portion of at least these five: Apple, Amazon, Alphabet, Microsoft and Facebook. Once you’ve got them, sky is the limit!? Or… Buy all good together? Honestly, not everybody wants to stay plugged all the time looking at thousand charts per hour. Luckily, there is a great alternative: the Technology Select Sector SPDR Fund (XLK). This fund is a perfect alternative for a low-cost passive investment in the major tech sector players. 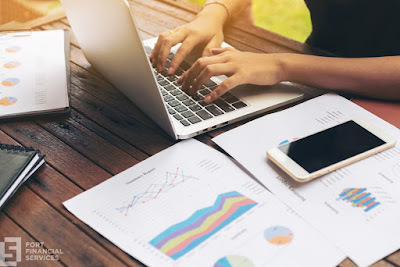 If you compare the fund with the S&P 500, you’d notice that it has been outperforming the major index for quite a long time, giving a good sign that things are going well for techies. At the time, Apple stays on top of the fund, taking almost 15 percent of the positioning. Microsoft follows with 10.22 percent and social network Facebook is on the third place with 6.45 percent. Gold prices moved higher in Asian trade on Monday, with market players putting their eyes on the Fed’s next move and looking ahead of remarks from President Donald Trump on Tuesday. On the Comex division of the New York Mercantile Exchange, gold for April delivery was down 0.02 percent to trade at $1257.90 an ounce as of 07:10 GMT. Bullion ended last week on a 3-½ months peak as the US dollar extended losses and economic reports eased expectations regarding a March interest rate. The Commerce Department reported on Friday a 3.7 percent build in new home sales for January, below forecasts of a 6.3 percent increase. Michigan’s consumer sentiment came in at 96.3 points in February, in line with analysts’ expectations. While it seems that traders are feeling less confident about a rate hike next month, speeches from Fed officials will remain in focus this week. Investors will continue to weigh economic data in search for hints on whether the US regulator should or not proceed with a raise “fairly soon”. This week’s key event will certainly be President Donald Trump’s address to the Congress on Tuesday at 21:00 GMT. Market players will pay close attention to his words for further details on economic promises, especially on the upcoming tax reform, deregulation and fiscal spending. Fed Chair Janet Yellen will be speaking on Friday at 18:00 GMT. Oil prices rose in pre-European session on Monday as investors looked ahead of an update on February crude supply and demand data from the International Energy Agency (IEA). US West Texas Intermediate oil futures traded at $54.31 a barrel on the New York Mercantile Exchange, up 0.59 percent from its previous settlement. The London-based Brent crude oil futures soared 0.68 percent to trade at $56.37 a barrel as of 07:10 GMT. Also in focus will be President Donald Trump address to Congress on Tuesday and Fed Chair Janet Yellen speech on Friday. Both events promise to attract large attention as investors look for further details on economic promises such as the tax reform and the regulator’s next move. But traders will also keep their eyes wide open ahead of US crude stockpiles. As usual, the American Petroleum Institute will release its weekly estimation on Tuesday, followed by official figures from the Energy Information Administration on Wednesday at 15:30 GMT. Crude inventories rose by 564,000 barrels in the week ended February 17, slowing the growth pace. Crude benchmarks have been trading on a narrow interval around $50 per barrel for already two months as there are no relevant changes in the fundamental background. Baker Hughes reported an addition of 5 oil rigs, moving the total count to 602 platforms. The oil market is currently balancing two big forces: OPEC-led output cut program and the response of US shale producers. So far, the IEA said OPEC compliance with the 1.8 million bpd cuts stood at 90 percent in January. However, the US production continues to increase. Gold dropped in early Asian trade on Friday as market players digested Fed’s February minutes and remarks from Treasury Secretary Steven Mnuchin who expects a tax reform by August. On the Comex division of the New York Mercantile Exchange, gold for April delivery soared 0.19 percent to trade at $1253.80 an ounce as of 07:05 GMT. "We want to get this done by the August recess. We've been working closely with the leadership in the House and the Senate and we're looking at a combined plan," Mnuchin said during his first TV appearance at CNBC. Meanwhile, FOMC minutes came in dovish-than-expected, which plunged expectations for a March interest rate hike and pushed the yellow metal to a 15-week peak over $1250 an ounce. Bullion was also supported by a falling US dollar, also affected by the minutes. Before the release, chances for a March hike were standing nearly 18 percent, according to CME Group’s FedWatch tool. It seems that some FOMC members decided to wait for further economic details of the Trump administration before making any move that would hit economic growth. Gold is a dollar-denominated commodity, which makes it vulnerable to changes in US interest rates. Higher rates translate into less demand for non-yielding assets such as bullion. In economic news, the US Labor Department reported a build of initial jobless claims by 6,000 last week to a total of 244,000. The movement was above expectations for a 2,000 increase. Oil prices oscillated between small gains and losses in early trading on Friday as US inventories grew on a slower-than-expected pace while news of crude barrels being sold out of storage in Southeast Asia weighed on prices. US West Texas Intermediate oil futures traded at $54.36 a barrel on the New York Mercantile Exchange, down 0.17 percent from its previous settlement. The London-based Brent crude oil futures fell 0.12 percent to trade at $56.51 a barrel as of 07:05 GMT. 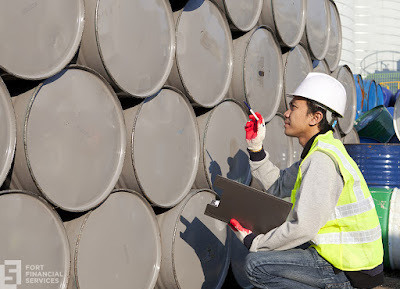 US stockpiles added 564,000 barrels in the week ended February 17, according to the latest Energy Information Administration (EIA) report. Figures came in really short from expectations of a 3.5-million-barrel build, although it marked a seventh consecutive increase in stockpiles. 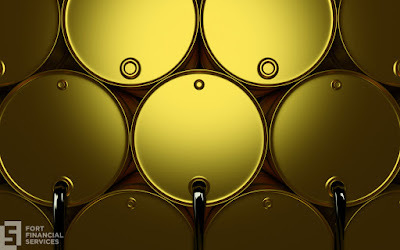 A day earlier, the American Petroleum Institute (API) said that inventories had felt by 884,000 barrels last week to 512.7 million barrels. The Organization of the Petroleum Exporting Countries and independent producers such as Russia are currently cutting their output levels as part of a massive plan to rebalance supply in oil markets. Together, OPEC and non-OPEC members are trying to shred 1.8 million barrels per day from global production in the first six months of 2017. As a response to the OPEC-led action, external producers such as the United States have reacted by raising shale oil production to levels not seen in years. However, analysts point that inventories will have to fall eventually because it’s simply unsustainable. News agency Reuters reported that tankers anchored off Malaysia, Singapore and Indonesia have been selling nearly 12 million barrels of crude in the last month. 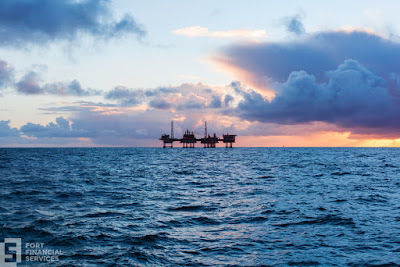 Today, market players will keep an eye on Baker Hughes oil rig count at 18:00 GMT. Trump’s Tax Reform: Sell or Buy? Yes. Markets are still moving up and if there one reason behind this positive trend is President Donald Trump’s recent promise to unveil a long-awaited tax reform. "We're going to be announcing something I would say over the next two or three weeks that will be phenomenal in terms of tax and developing our aviation infrastructure." said Trump on Feb 9. But not everything is as clear as it seems. While there are still those believing that the reform would be great for business and individuals, there is an increased number of analysts pointing that the tax plan could actually turn into a sell event. Why? Speculation. That’s right. You’ve heard me. Speculation. In the last two weeks, investors have been buying consistently on expectations that Trump’s reform will reduce the tax burden on American customers and business. However, will it actually do that? Taking a look at the S&P 500, it’s said that for each percentage point ripped from taxes, the index only adds nearly 1.30 dollars to total annual earnings. In other words, don’t be so sure this tax reduction will have such a positive effect on the economy. Also, keep in mind that US equities have been growing on the basis of this event, so… a confirmation will provoque a moderate movement but don’t expect too much out of it. After all, it’s all been kind of anticipated by traders. If market participants start to analyze the true impact of this tax reform, then it will automatically change into a “sell-the-news” event. Right! That same old phrase: “buy the rumor, sell the news” but well… nobody has a crystal ball here and after all, it’s your own judgement which counts. Single citizens that make less than $25,000, or married couples that jointly make less than $50,000 will be excluded from income tax. Families will be exempt of death tax. Americans who classified for income tax will pay according a simplified tax code: 0%, 10%, 20% and 25% depending earnings. No business of any kind will pay more than 15%, making it easier for startups and big corporations to scale up, hire more people and invest more in the country. Wall Street indexes were set for a flat open on Wednesday, as market participants awaited Fed February minutes and prepared for another round of remarks from FOMC officials. 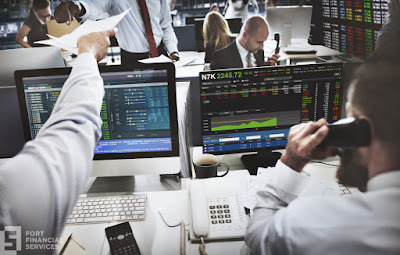 On Tuesday, US equities reopened after President Day’s holiday and reached all-time highs based on news from Washington and upbeat corporate earnings. President Donald Trump announced on Monday that Lieutenant General McMaster will replace Michael Flynn as national security advisor. The news helped to ease domestic uncertainty. On the earnings front, retail Macy’s and Home Depot were in the spotlight. Macy’s exposed mix results while Home Depot reported better-than-expected profits. Later in the day, big names such as Tesla, Fitbit, Bayer and Six Flags are set to release their earnings. As for economic data, Markit preliminary manufacturing and services PMI for February came in below expectations at 54.3 and 53.9 respectively. Today, market players will keep an eye on existing home sales for January at 15:00 GMT, with analysts pointing at a 1.1 percent build of 5.54 million units. Fed Governor Jerome H. Powell will give a speech as of 18:00 GMT and FOMC minutes will be released at 19:00 GMT. In Europe, stock markets were moving upwards on Wednesday, with the pan-European Stoxx 600 adding 0.4 percent as most sectors traded in green territory. Lloyds Banking Group stocks rose by more than 4 percent after it reported its highest yearly profit in over a decade. Asian markets closed higher earlier today, following Wall Street upbeat performance and as traders continued to speculate on further details on the tax reform from Trump’s administration. The Japanese Nikkei 225 was almost flat at 19,379.87 points, with the yen trading at 113.43 per dollar. Automaker Toyota was up by 0.39 percent, while Sony added 0.40 percent. Australian ASX 200 was able to recover from previous losses and advance 0.24 percent in the session to 5,805.09 points. 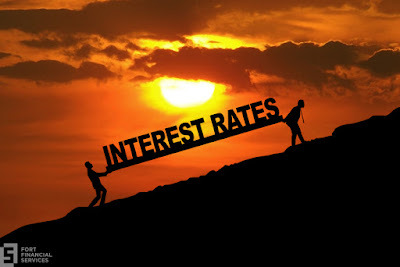 RBA Governor Philip Lowe said that moving forward with interest rate cuts would not be good for Australia as it increases risks on household debt. Hong Kong's Hang Seng index rose 0.85 percent, while China's Shanghai composite ended 0.23 percent higher at 3,260.93 points. Is the Fed raising rates in March? 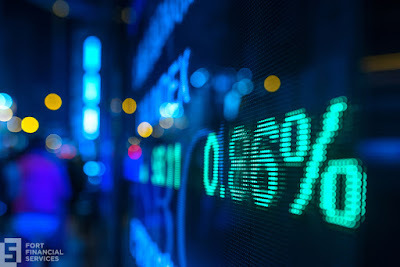 US equities were pointing to a higher open on Tuesday as market participants returned from a long weekend and looked ahead fresh economic data and earnings reports. 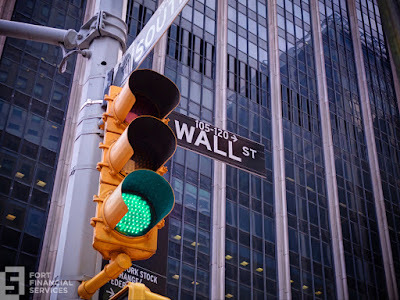 Wall Street main three indexes reached new all-time highs last Friday amid low activity volumes and as traders turned their focus into France’s upcoming presidential election. Later today, investors will keep an eye on PMI reports and a few speeches from FOMC officials. Markit is releasing preliminary manufacturing and services PMI for February, with analysts estimating growth to 55.2 and 55.7 points respectively. Minneapolis Fed President Neel Kashkari is scheduled at 13:50 GMT, while Philadelphia Fed President Patrick Harker will speak at 17:00 GMT. Last but not least, San Francisco Federal Reserve President John Williams coming at 20:30 GMT. Market players are watching carefully all speeches from Fed representatives as chances for a March interest rate hike have suddenly spiked following last week’s Fed Chair Janet Yellen remarks before the US Congress. Yellen said the regulator will increase rates in the near future. In the same line, Cleveland Fed President Loretta Mester said on Monday that starting to raise benchmark rates at this stage would be more “comfortable” than waiting too long. "So I'm comfortable that inflation is near its goal and moving toward its goal... I'd be comfortable with an increase in the funds rate at this point, if the economy keeps going the way it's going." In Europe, markets were mainly higher on Tuesday amid upbeat economic data from Germany and the Eurozone. German manufacturing and services PMI for February came in better-than-expected at 57.0 and 54.4 points against expectations of 56.0 and 53.6 respectively. Similar indexes for the Eurozone were also above forecast at 55.5 and 55.6 points. Market players also monitored BOE Governor Mark Carney address to the Treasury Committee. Asia equities closed mixed on Tuesday, with investors still speculating on President Donald Trump economic promises, including a pending tax reform due to be announced rather soon. The Japanese Nikkei 225 soared 0.68 percent to end at 19,381.44 points, as exporters continued to benefit from a weak currency. The yen extended losses against the US dollar, trading near the 113.40 mark. A weaker yen makes local products more competitive abroad. 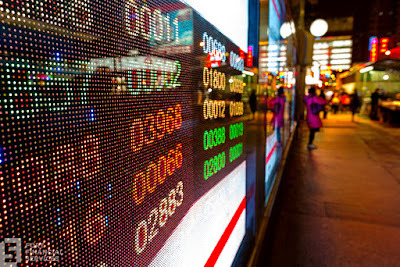 Hong Kong's Hang Seng index eased 0.64 percent, while China’s Shanghai Composite edged up by 0.41 percent to trade at 3,253.24 points by the end of the session. US Manufacturing PMI: ISM or Markit? Yeap. Those same three letters you see every month on the economic calendar. First, you should understand that PMI stands for Purchasing Managers’ Index. This index is released each period in more than 30 countries by Markit. But in the United States, the Institute of Supply Management develops a separate similar index. Before thinking of which one is best, let’s focus on what PMI figures actually tell us. However, Markit offers a monthly PMI index for other sectors, including services, construction and a compiled version. Keep in mind that those versions are not necessarily available in all countries that Markit operates with. For those trading exclusively in the United States equity markets, the ISM PMI could be a better alternative as it covers all the North American Industry Classification System in their surveys. On the contrary, Markit Group uses a large base of over 400 companies but which belong entirely to the private sector. How to read PMI reports? If the index comes above 50, it marks that the sector is expanding, while a reading below 50 shows contraction. While data might not be extremely moving for traders, they use it to estimate production volumes and other indicators related to the manufacturing sector. A higher-than-expected reading in the Manufacturing PMI is seen as a bullish signal for the US dollar, while a neutral or lower-than-expected results could push the greenback downwards. Gold prices moved lower in Asian hours on Tuesday, as the US markets are expected to reopen after a long weekend and investors to turn into high-yield assets. The yellow metal settled on the downside last week following the continuous strengthening of greenback, despite growing uncertainty in the United States and Europe. On the Comex division of the New York Mercantile Exchange, gold for April delivery dipped 0.38 percent to trade at $1234.40 an ounce as of 04:50 GMT. 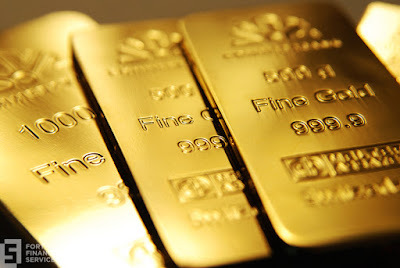 Bullion oscillated between small gains and losses on Monday, as US equities remained closed and trading volumes was considerably below average. In the week ahead, Washington’s agenda seems to be again back on the spotlight. Expectations are building up regarding President Donald Trump’s tax reform and other economic policies. The 45th US President promised to unveil a “phenomenal” tax plan between this and next week, a reform that is supposedly targeted at both, individuals and corporations. Today, gold traders will also pay close attention to speeches from Fed representatives. Minneapolis Fed President Neel Kashkari is due to speak at 13:50 GMT, followed by Philadelphia Fed President Patrick Harker at 17:00 GMT and San Francisco Federal Reserve President John Williams at 20:30 GMT. On Monday, Cleveland Fed President Loretta Mester said it would be more “comfortable” to raise benchmark rates in the near term if the economy continues to perform well. 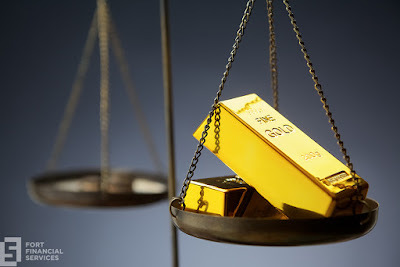 Gold prices are sensitive to changes in US rates. Bullion is denominated in US dollars and higher rates make the yellow metal more expensive for investors holding foreign currencies. 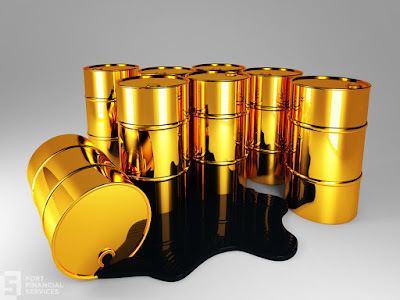 Crude oil prices extended gains in Asian trade on Tuesday as market participants prepared for the reopening of US markets and looked ahead of further inventories data later this week. US West Texas Intermediate oil futures traded at $54.01 a barrel on the New York Mercantile Exchange, up 0.43 percent from its previous settlement. The London-based Brent crude oil futures fell 0.02 percent to trade at $56.17 a barrel as of 05:55 GMT. Both oil benchmarks traded higher on Monday despite US equity markets remained closed for President’s Day holiday. Investors continued to speculate on higher oil prices as a result of the OPEC-led output cut agreement. According to the Joint Organisations Data Initiative, Russia has officially overtaken Saudi Arabia as the world’s top crude producer in December. Both countries are currently reducing their production levels as agreed back in December in order to rebalance oil supply and demand. The report shows that Russia pumped 10.49 million barrels per day (bpd) by the end of last year, while the Saudis extracted 10.46 million bpd from a previous 10.72 million bpd. Third on the list was the United States, with production levels standing at 8.8 million bpd. The American Petroleum Institute will release its weekly crude stockpiles on Wednesday, a day later than the usual due to the long weekend. Official data from the US Energy Information Administration is scheduled on Thursday at 16:00 GMT. Market analysts are pointing at a 9.527 million barrels increase for the week ended February 17. Wall Street indexes ended higher on Friday, managing to reach new record highs as market players turned their focus into France's presidential election, which is only a month ahead. The Nasdaq composite moved to a new all-time peak, rising 0.4 percent and posting a weekly gain of nearly 1 percent. The Dow Jones industrial average was limited by losses of UnitedHealth but Boeing stocks pushed it upwards. While US equities were able to close in green territory last week, Friday’s session showed that the uptrend is coming to a turnpoint. Stocks have been growing on the back of expectations that President Donald Trump will release a “phenomenal” tax reform in the near future. According to the Republican leader, his intention is to promote business activity and reduce the tax burden on American consumers. Trump held a press conference on Thursday, in which he criticized local media and journalists for publishing so-called “fake news”. He said there is no way these false reports will affect him but he promised to make the people behind these actions respond for it. "The press has become so dishonest that if we don't talk about, we are doing a tremendous disservice to the American people. Tremendous disservice," said Trump. "We have to talk to find out what's going on, because the press honestly is out of control. The level of dishonesty is out of control." Trump also reminded voters that the administration is running like a “fine- tuned machine,” which helped to decrease anxiety in Wall Street. As there were no relevant reports scheduled on Friday, market players turned to a key European event: the French presidential elections on March 23. Investors are worried about far-right candidate Marine Le Pen and her intention to push France out of the Eurozone. Latest polls show Le Pen ahead in the vote, although analysts believe she has not enough support to win the second round in April. By now, she’s just the pick of an iceberg of uncertainty that could put EU’s second biggest economy into recession. US markets will remain close on Monday due to the President's Day holiday. For such reason, trading volumes in commodity and currency markets could also be below average. Haven’t heard yet? Well… Like it or not, Donald Trump has officially become the new President of the United States. And he’s already running the White House for a month, so in case you’re still digesting the inauguration, time to move on because there is plenty of work to do. If Trump has been famous for something, it’s for his hair. Just kidding… For his genius social media presence. That’s right, he has built a tremendous popularity in Twitter and now that he’s in charge, each tweet has huge power over media headlines, individual opinions and… stocks! 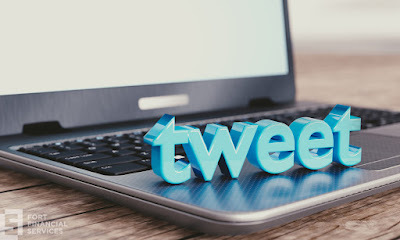 But how to interpret those 140-character messages and turn them into profits? Well, it seems that Trump is all about extreme positions, forget about the 50 shades of Obama. Trump is about black or white, good or bad. So basically, that’s how you should read his tweets. 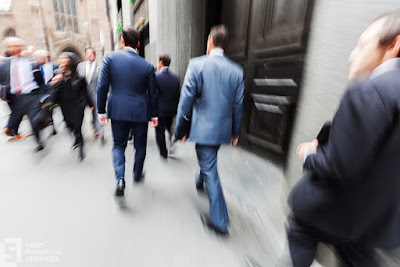 Deregulation: Less regulation means less trouble for business owners. While some argue regulation is necessary to prevent bad practices to take over and create a new crisis, Trump thinks regulation is only positive in little measure. In his opinion, deregulation translates into faster industrial execution, capabilities and job creating. Infrastructure: When the government spends money, it does it BIG. Trump has a few infrastructure projects in mind, including the construction of the so-called “Trump Wall” in the US-Mexico border or the renewal of different roads. All those bills will eventually fall into the hands of construction, logistic, manufacturing companies and so on. Tax Reform: Lowering taxes for business and individuals it’s a great way to promote inflation. Why? Instead of paying taxes, a consumer can use that money and spend it on something he or she wants. In that scenario, people inject more money into the system. Business reports higher earnings and stock markets move upwards. International Relations: Keeping things steady in the foreign arena has never been Trump’s intention. Political tension between the US and China or Iran could eventually weigh on the administration and stocks related to it. Travel Ban: It’s not so much about the travel ban itself but rather about how local communities take it. When the ban was announced, it created a wave of protests across the United States. And Wall Street doesn’t like protests, as they are a symbol of instability and uncertainty. American-made: Making your own products it’s definitely a good thing. No questions here. However, if you are threatening companies to bring their production to the US, it might not play out very well. BMW said 70,000 employees is perfectly OK for them right now and that if the US wants to sell more American-made cars, they simply need to produce better cars. Got the idea? If you’re looking to diversify your portfolio in 2017, then you should consider moving some capital into gold futures. The yellow metal is currently on fire due to a mix of political and economic factors that have turned it into a highly volatile and profitable asset. We get it… You’re interested but don’t know where to begin. Look, the first and (probably) most important thing to trade metals, or any other asset, is to understand what really moves the price up and down during a session. Is it the economic events? Is it the political events? Is it both? Gold futures are currently trading around the $1230.00 mark, counting on a strong support around the $1220 level. So far this year, the precious metal has been moving almost exclusively due to President Donald Trump’s executive orders, economic policies and promises. However, gold is not only affected by the US calendar, it is also depending on monetary policy, political tensions between countries and increasing risks just to name a few factors. Three things to keep in mind: Donald Trump’s economic policies, international relations and Federal Reserve interest rate decisions. First goes first, Trump’s economic policies are expected to promote solid growth in the next few years, making high-risk assets such as equities more attractive to investors. This scenario also means the Federal Reserve would have to raise interest rates to keep the economy moving forward. In these cases, a bearish gold forecast is most likely. 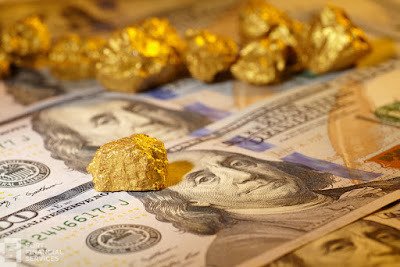 However, if President Trump won’t be able to keep good terms with other nations and the international relations continue to deteriorate, that could provide some support for gold. Elections in the Netherlands, France, Germany are set expected to be crucial for gold prices as traders speculate on that far-right/conservative parties could push some of these countries out of the Eurozone or even the bloc, such as Great Britain is trying to do. Such decisions would push the metal higher as political risks will increase significantly and investors will possibly turn into safe-havens such as gold. Greece and Italy are also on the watchlist. Both countries are facing serious financial crisis and bailouts are on the table. And yes, Brexit is not to forget. The country seems to be doing quite well despite lousy forecasts, but once UK triggers Article 50, that’s when the real show will start playing out.